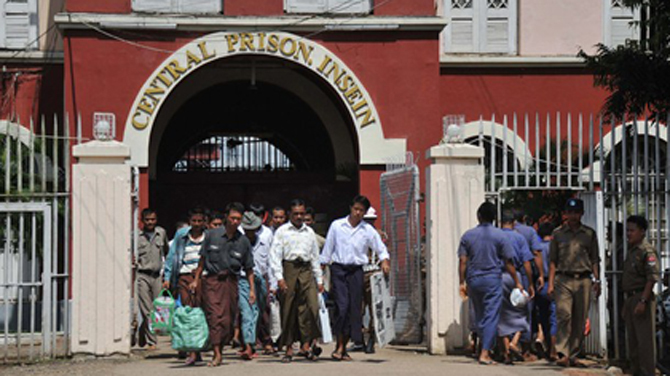 Last week, one of Burmese President Thein Sein's political advisers, Ko Ko Hlaing, told Radio Sweden that Burma has only around 600 political prisoners—a figure much smaller than the more widely accepted estimate of around 2,000 (of whom some 220 were freed last week). 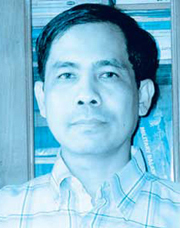 The Irrawaddy contacted Ko Ko Hlaing to ask him about this disparity, and for his response to critics who say that the relatively small number of political prisoners released suggests that recent moves toward reform are losing steam. Question: In your interview with Radio Sweden last week, you said that there are only 600 political prisoners in Burma. Can you explain how you arrived at that figure? Answer: I don't have exact figures for the number of prisoners of conscience. If you want that, you can contact the Ministry of Home Affairs (MOHF), which is responsible for compiling a list. Q: The United Nations and other organizations watching the human rights situation in Burma say there are around 2,000 political prisoners in the country. Why do you think their numbers and yours are so different? A: It may be because organizations operating outside the country have little opportunity to collect the exact figures. I don't think they can compile an exact list. They may, for example, include some people on the list who they assume are in prison. It is also possible that they don't know about those who have already been released. The MOHF's list may be more exact, as people in the ministry have compiled it based on verifiable statistics. I think the differences may also depend on how people define prisoners of conscience and ordinary prisoners. Q: We have heard that more prisoners may be released soon. Can you comment on that? A: I don't know for sure, but authorities responsible for prisoners have said they will release more. We are advisers, so it is quite difficult for us to provide detailed information. Q: The suspension of work on the Myitsone dam project was seen as a positive move by people within and outside the country, but many were disappointed by the small number of political prisoners who were released last week. Some are now saying that reforms seem to be stalling. As an adviser to the president, what are your views on this? A: Many people want many changes to come quickly. I think the recent prisoner release was not the last. According to the Constitution, it is within the president's authority to grant amnesties, so more may come. I think it is premature to say that the pace of reforms has slowed. There are many other things we need to do. We can't just sit still and do nothing. So I think that whether reforms are slowing down or not is mostly a matter of perception. Q: Another issue is armed conflict in ethnic areas. The government has come up with plans to stop the ongoing war in those areas, but ethnic groups say they want a nationwide ceasefire and an inclusive political dialogue, not just one-on-one talks with the government. What are your views on this? A: There are demands from both sides in a dialogue. It's like bargaining—the seller has his price, and the buyer has his. But if both parties just stick to their demands and refuse to do anything unless their demands are met, an agreement cannot be reached. What is happening is between brothers and between ethnic nationalities. I haven't heard any group saying that it will secede from this country if the government doesn't comply with its demands. Arguing is just a normal part of the process. I think they can come to an agreement if they negotiate. Do not downgrade ethnic issue .We are fighting for autonomy,equal right,equal opportunity base on pinlon agreement,not for business privilege. If you sincerely want to build democratic developed country, please get rid of your mindset of burmanaism. This is yes or no issue, if no,we will keep on fighting even DSSK is in power. No bargain for ethnic demand. The NLD is in limbo neither banned nor officially registered. Tacit acceptance and ongoing negotiations preclude a crackdown, on the contrary indicative of a co-optation process. Likewise separate talks with armed groups mean a peacemaking dialogue of sorts, but not so much an honest political solution as employees having to agree to a job plan and remuneration individually with a gagging clause not to disclose the details to others. The hint of further amnesties for political prisoners is unconvincing, only as haggling implicit in the expectation of quid pro quos such as 'good behavior' once outside. ASEAN have no interest in blackballing Burma for the Chair, as the man said they are themselves semi or pseudo- democracies and it's buggins turn anyway. But they are beholden to the US as a powerful trading partner and much else. So it remains a bargaining chip in addition to the sanctions. The simple truth is these political prisoners were jailed for protesting against the previous government. They are not against this democratically elected new government. So, why are they still being locked up? Is the government admitting they are the same government as the previous one? @ La Rip: Pro-democracy and rights activists are always used as tools during times of transition. Likewise, moderate ministers are used as tools by activists. Barring revolutions, you can't expect a sea change in value systems overnight - it's all about strategy, leveraging, bargaining. If you want to sit and wait for a Berlin Wall moment, then do so while the rest of us get on with the hard work. Pro-democracy activists and ethnic rights activists are being used as a tool for the Burmese Military for their hold on to power, apparently perpetuating the military hold on to power.